Retro-odontoid pseudotumor, or mass-like retro-odontoid soft tissue thickening, is an uncommon but important imaging finding that may be associated with rheumatoid arthritis, crystal deposition diseases, as well as non-inflammatory conditions such as cervical degenerative changes and mechanical alterations. Retro-odontoid pseudotumor is commonly associated with atlantoaxial microinstability or subluxation. MRI and CT have an important role in the detection and diagnosis of retro-odontoid pseudotumor. However, due to a wide range of imaging characteristics and ambiguous etiology, it is a frequently misunderstood entity. 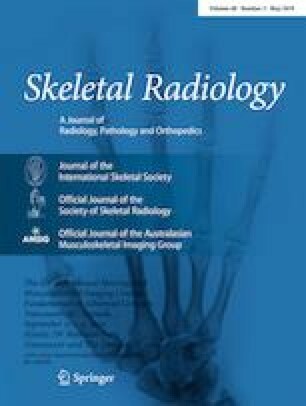 The purpose of this article is to review relevant anatomy of the craniocervical junction; describe various imaging appearances, pathophysiology and histology in both rheumatoid and non-rheumatoid etiologies; and discuss differential diagnosis of retro-odontoid pseudotumor in order to help guide clinical management. The above authors have no disclosures. The work has not been previously presented or published elsewhere. No IRB approval was required. Rajak R, Wardle P, Rhys-Dillon C, Martin JC. Odontoid pannus formation in a patient with ankylosing spondylitis causing atlanto-axial instability. BMJ Case Rep. 2012;2012. https://doi.org/10.1136/bcr.11.2011.5178.